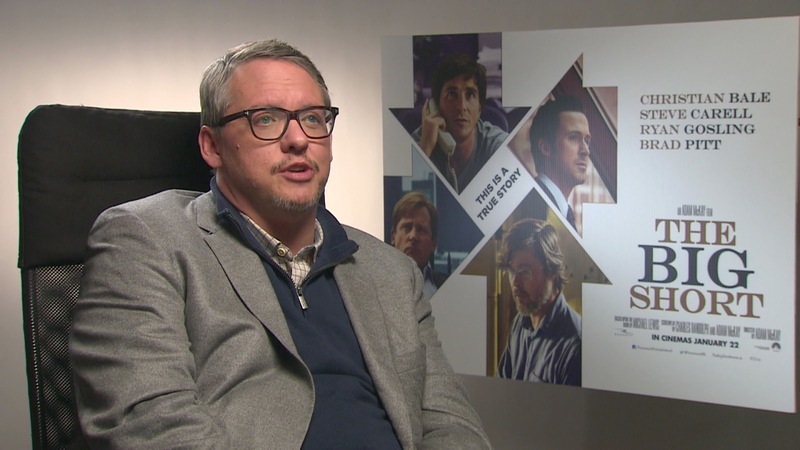 Riding high on the wave of five Oscar nominations, including one for Best Picture and Best Director, Adam McKay flew into Dublin yesterday to bring his smart and funny tale of the US financial crash The Big Short to Irish shores. He talked to us about the moment he heard the nominations, how he felt compelled to bring The Big Short to cinema screens and what he hopes audiences will take away from it. Check it out below and catch the film in cinemas from tomorrow. When four outsiders see what the big banks, media and government regulators refuse to — the impending collapse of the global economy — they have an idea: The Big Short. Their bold investment leads them into the dark underbelly of the modern banking industry where they must question everyone and everything. Based on the true story and best-selling book by Michael Lewis (The Blind Side, Moneyball), and directed by Adam McKay (Anchorman, Step Brothers), The Big Short stars Christian Bale, Steve Carell, Ryan Gosling and Brad Pitt.